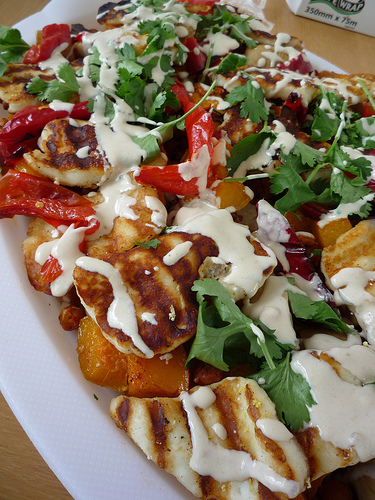 Halloumi, as it is also known, is the most unique of the Cypriot delicacies. 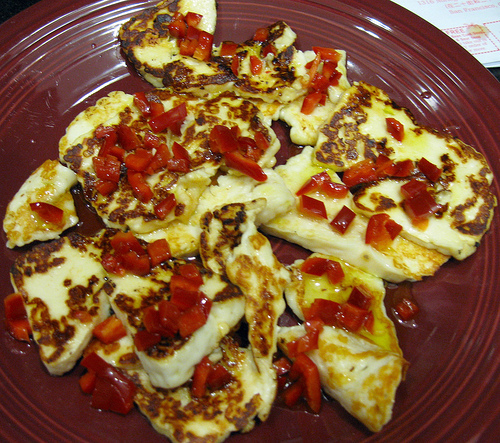 It is full fat soft cheese made of whole goat’s milk, salt and a hint of mint. 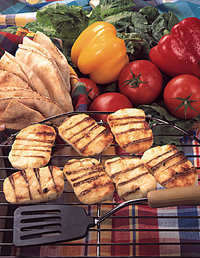 Sliced halloumis can be cooked under a hot oven, grill or on charcoal until it starts to melt and gets slightly brown. 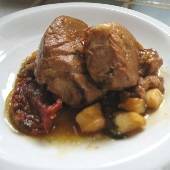 Or it can alternatively be fried in hot oil or butter. Serve with a slice of lemon.